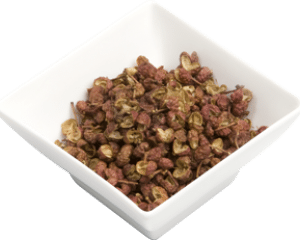 Pepper Sichuan Whole is an oriental fruit grown on a small ash tree native to the Sichuan province of China. Even though it is called pepper, it is not a true pepper and is not related to black peppercorns, which are from India. The berries have a warm peppery fragrance, with citrus notes & a clean fresh aftertaste leaving a slightly numbing sensation on the tongue. It is the outer husk which has all the flavour, the internal hard black seed is edible but can add a bitter taste. It is a key ingredient in Chinese cuisine and used in some Asian recipes. It is used in our chilli sichuan salt and calamari salt and pepper blends. 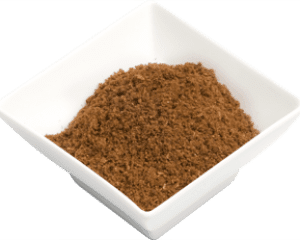 Pepper Sichuan has many health benefits and is a good source of minerals and vitamins. It contains essential oils and is also known to have antioxidant properties. It contains vitamin-A, copper, potassium, iron, manganese, phosphorous, selenium and zinc.